The amount of fluoride in the city of San Diego’s water system will be increased beginning Tuesday, the Public Utilities Department announced today. The higher fluoride levels are to be phased in over the next month, with the first additive going into the Miramar Water Treatment Plant, which serves the northern area of the city of San Diego. Fluoride will go into the plant at Lake Murray, serving central San Diego, a week from today. The additive will go into the Otay Water Treatment Plant, which serves southern San Diego, in mid-February. San Diego’s system also delivers water to the cities of Coronado, Del Mar and Imperial Beach. Fluoridation was planned to begin just before Christmas, but was delayed for more testing and training. 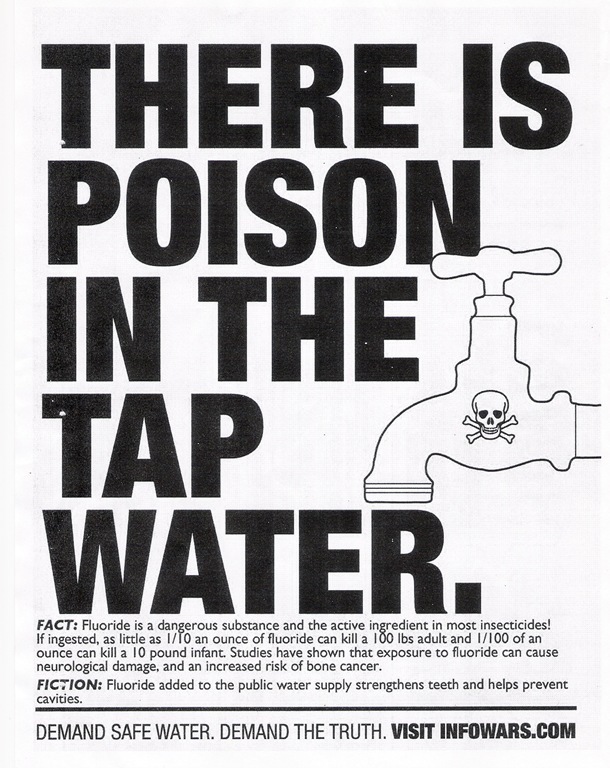 Fluoride is an additive that has gone into water in many areas for decades. It occurs naturally in small amounts, and some is added to water imported to San Diego. However, more is required to meet standards of the state Department of Public Health. Supporters say fluoride is critical to the dental health of children, while some activists claim fluoride is linked to cancer. The smaller cities involved in the plan receive their water from the city of San Diego. San Diego’s water system was exempted from the state regulations until sufficient outside funding could be secured to add fluoride. Funding was obtained from the First 5 Commission of San Diego County, which offered more than $3.9 million to operate and maintain three water treatment plants. Major bummer! Guess they want to poison our kids. Never mind the fact the EPA as well as the NRC report concluded that long term exposes to fluoride or more accurately (hydrofluosilicic acid) CAUSES CANCER! Apparently there is Big money in toxic waste.